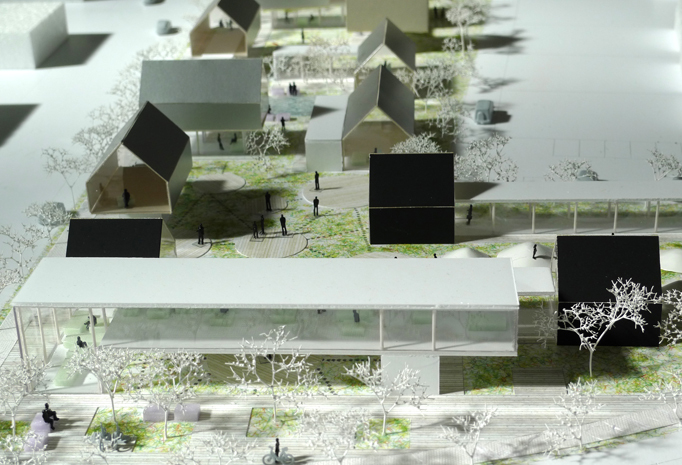 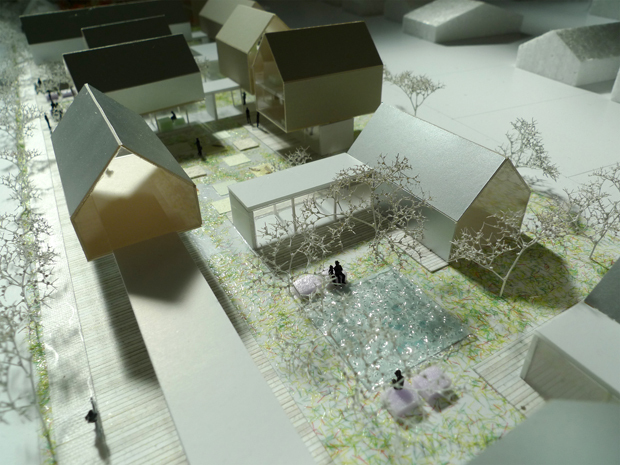 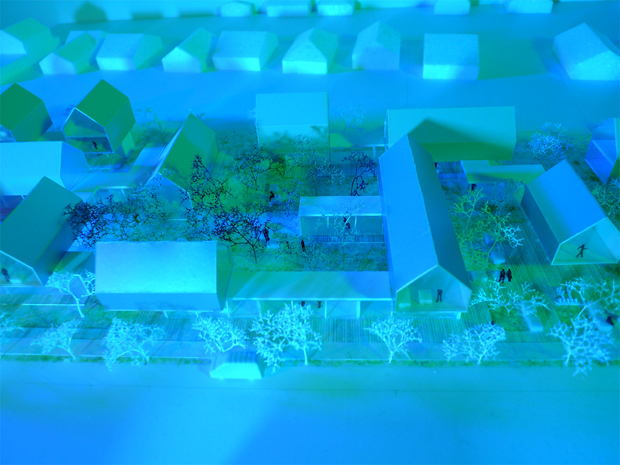 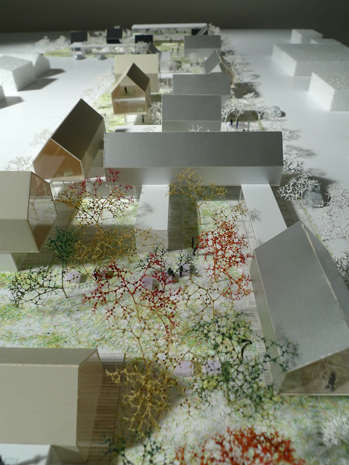 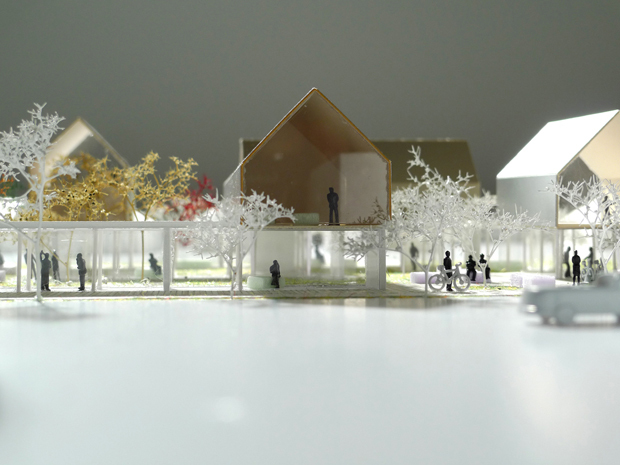 Our project consists of a maze of narrow, 3,70 m wide, translucent volumes on the ground floor, that host public and semi-public functions as well as community living spaces of private houses and create a series of intimate and interconnected open spaces. 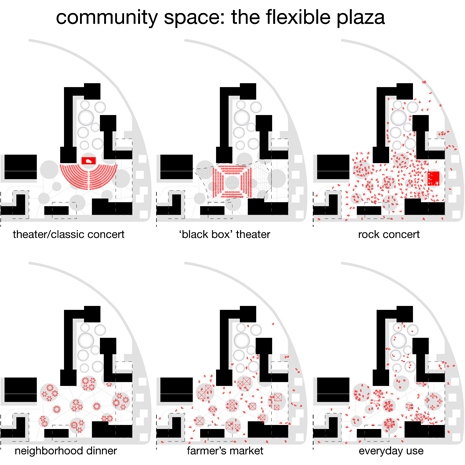 Some of these open spaces form an urban plaza, a community plaza, a commercial boulevard and a playground, typical for an urban fabric, while others are gardens that are reminiscent of the open spaces of the suburbs. 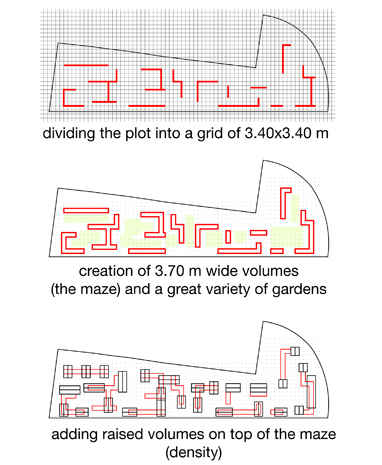 On top of the maze, residential volumes have been placed. 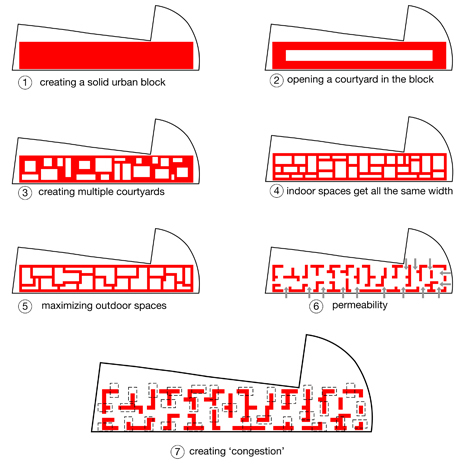 In this way the buildings at the same time define the open spaces and create a "porous" fabric, where volumes are penetrated by various walkways and passages that connect squares and gardens. 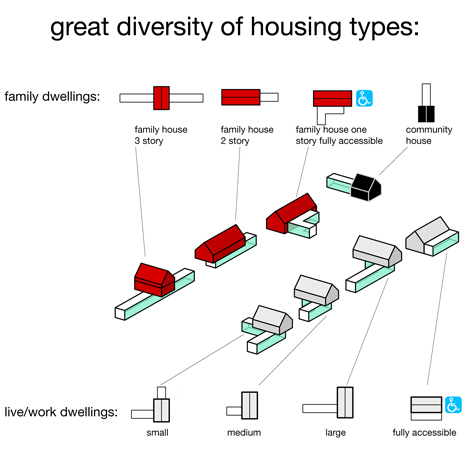 A new wave of inhabiting, a new sense of community. 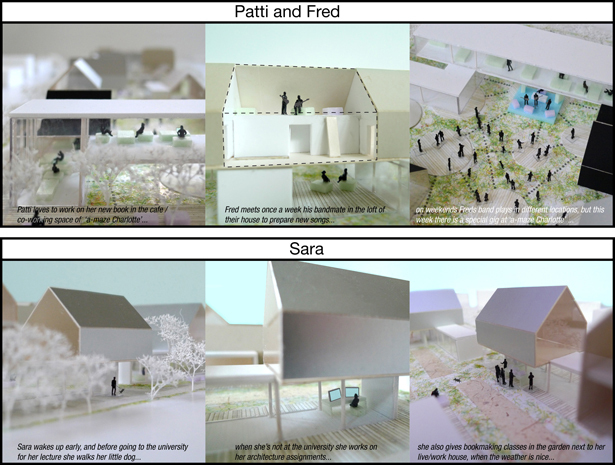 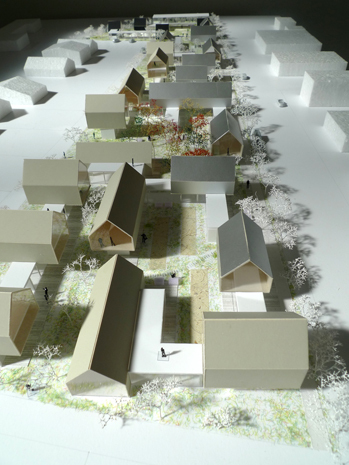 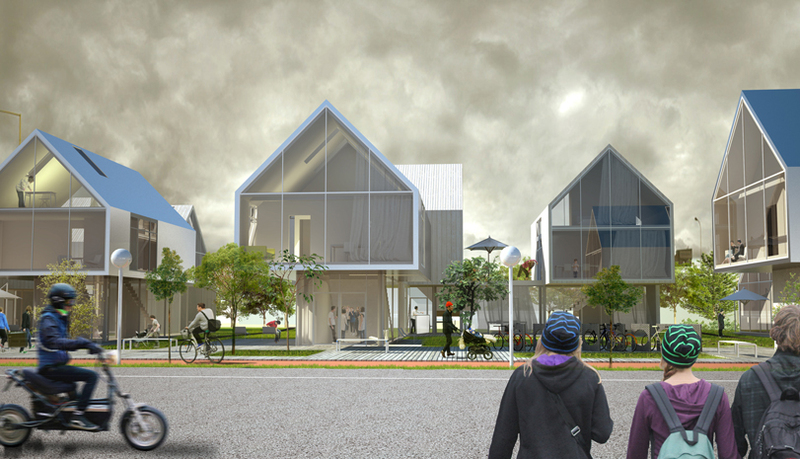 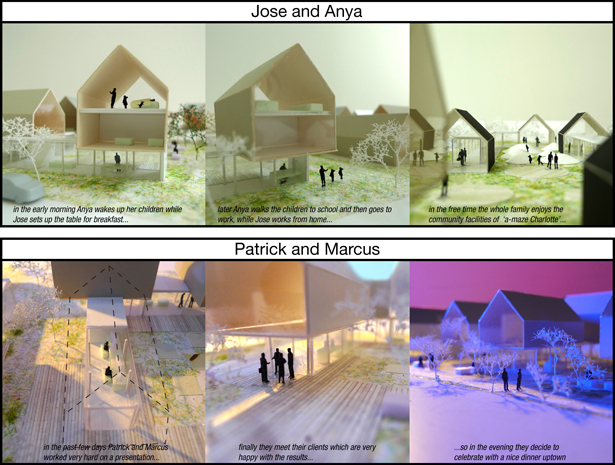 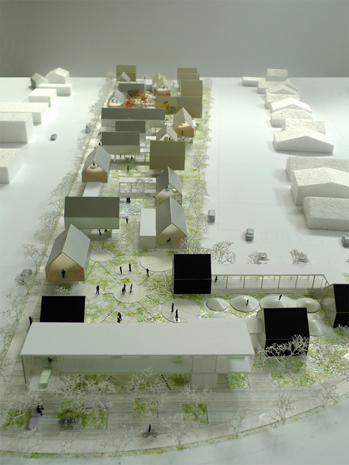 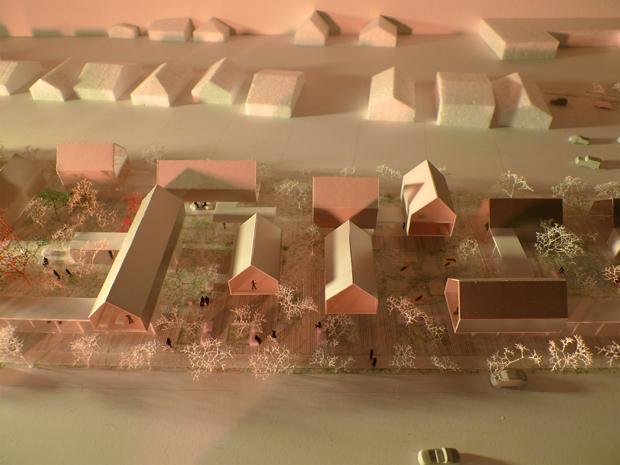 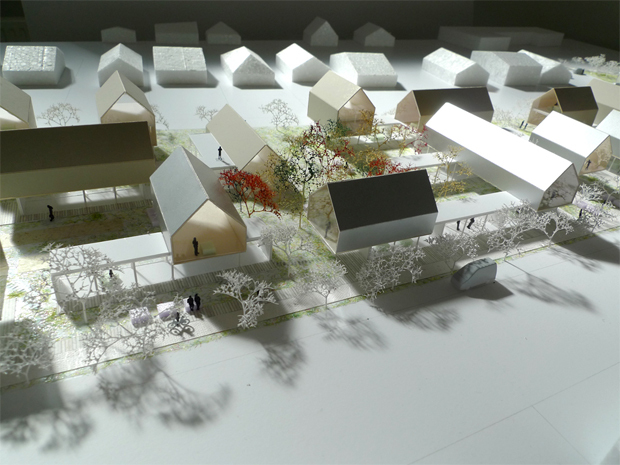 This hybrid structure creates a new way of inhabiting: the live/work dwellings (located towards S. Mint Street) create an urban atmosphere and give life to a working community where networking, exchanging of ideas, cooperation in the organization of events, in short, synergy, will play an important role. 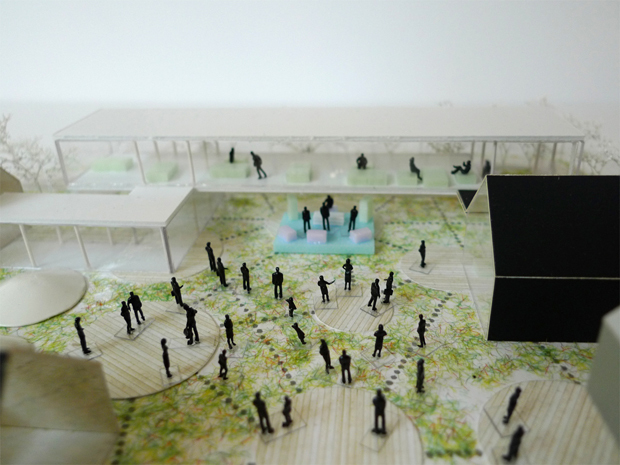 The urban aspect is further reinforced by the presence of facilities such as a restaurant/cafe, shops, community co-working spaces and children indoor spaces. 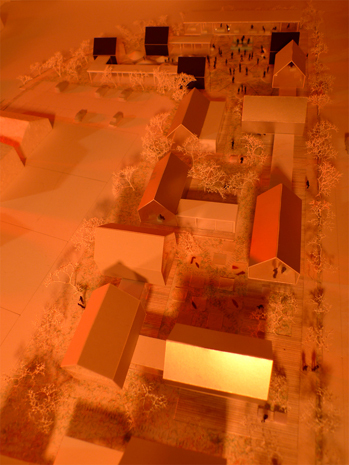 The family dwellings on the other hand, provide typical aspects of the suburban life-style â€“ closeness to nature with the possibility of barbequing, gardening, outdoor sports and relaxation, but in an environment that in a sense surpasses the limits of the suburbs being lively, community-like, with urban characteristics.